AleaSoft, November 21, 2018. The Spanish government’s zeal in reducing electricity market prices can hit investment in renewable projects, which need stability. pv magazine interviewed Antonio Delgado Rigal, a doctor in artificial intelligence and founding Partner and CEO of AleaSoft, to discuss market equilibrium, the impact on electricity prices of the measures applied and announced by the government, and the appropriate transformation of the energy model. Antonio Delgado Rigal, Doctor in Artificial Intelligence, Founding Partner and CEO of AleaSoft. Aleasoft predicts demand, production and prices in the European electricity market, with short, medium and long-term forecasts. What can the world learn from Europe? Fortunately, Europe is an integrated continent with a common electricity market and a unified set of rules and regulations that are mandatory. This is an advantage [that avoids] too many initiatives by governments that may eventually affect the common electricity market, or be sanctioned as disguised aid. The basic rule is the liberalization of markets [and] stable and transparent markets, in addition to free competition. With what customer profile does Aleasoft work? We work for all agents involved in the energy sector: from system operators (TSOs) to utilities, traders, retailers, large consumers [and] all types of generators in the electricity industries [as well as] wind and solar farm developers, and also with banking entities and investment funds. 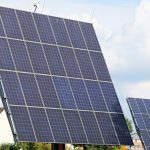 At the moment, the rise of PPAs is [causing] a revolution in the expansion of photovoltaic production in Europe. We are already working beyond the scope of the forecasts, taking advantage of 20 years of experience in the European electricity sector. Our idea is to create synergies in Europe between different actors involved in PPAs, mainly plant developers, retailers and consumers, together with banks and investment funds. What impact will the exemption of the “green tax”, and the suspension for six months of the 7% generation tax have on the price of electricity in the wholesale market? What are the forecasts for 2019? When the exemption from the special tax on hydrocarbons was approved and the 7% tax on generation was suspended, in this case for six months, the market price fell by around 5% and 6%, although it is a difficult effect to calculate because it is embedded within many other factors that affect the price of electricity. As of April 1, the price of the electricity market will rise again, around 4% or 5%, although we expect the government to repeal definitively that [7%] tax, that damages generators and Spanish consumers against their European competitors. For the year 2019, the price forecasts are above €60/MWh, if the current external conditions related to fuels and CO2 are maintained. What influence has the increase in the price of CO2 in the European market had on electricity prices? Do you think that if the CO2 price were maintained upwards, the change in the energy model would be accelerated? The increase in the price of CO2 has directly influenced the price of electricity. The current high electricity prices are an input that favors investment in renewable energy, but they also slow down the economy. The increase in the price of CO2 that we talked about earlier, and other measures such as the diesel tax, generate controversy. Accelerating the transition to cleaner energies or processes is undoubtedly beneficial for the environment but could negatively influence the industry. What do you think would be the proper transformation of the energy model? The proper transformation in this complex process is based on not being in a hurry, and changing the rules as little as possible. Thinking long term, taking into account market equilibrium. We should think about the mistakes that have been made due to excessive regulation. The agents that regulate the price of CO2 must take into account the damage they cause to the European economy with a too-high price. The tax on diesel or the mention of ending the manufacture of polluting engines in the future creates chaos in the land transportation sector. In Spain and the rest of Europe, car manufacturing has a great weight in GDP. If the electric car is the future, we will encourage manufacturing and buying with bonuses and also creating charging points, that in turn are profitable for those who install them. Popular saying: Better to measure and “re-measure”, than to cut and regret. The renewable sector is optimistic about the government’s commitment to the ecological transition. Do you think there are important aspects the government has overlooked, or should approach in a different way? Through our conversations with plant developers, banks and investment funds, the main problem is the excessive regulation and the zeal of the government to try to lower prices. The electricity market is a tool to obtain an equilibrium price between supply and demand. If the government talks about changing the market for something unknown, regulated, that really does not help the investments that are now more necessary than ever. Will energy efficiency and increasing renewable generation affect the price of electricity? Will the closing of nuclear and coal plants affect the energy pool in Spain? In the future there are factors that will lead to lower electricity demand, as is the case [with] energy efficiency, but there are other factors that will increase electricity consumption, as is the case [with] electric cars and other new uses of electricity, or as a substitute for domestic and industrial gas. The closure of nuclear and coal thermal plants will generate a great need for renewable energy production. Despite these new events that are revolutionizing the energy sector in Europe, [at] AleaSoft we consider that the market equilibrium between supply and demand will be maintained, and that the average prices of the next 20 years will be around €50/MWh. The introduction of large quantities of generation plants from renewable sources will not be easy. There is the difficulty of financing, and there is the difficulty of finding [counterparties for] the PPAs. Large consumers do not have the habit of buying electricity in the long term, and banks do not want to take too many risks. We also have another technical difficulty related to the points of connection to the grid, that are finite. What do you think of the current system of electricity price formation? The current market is 20 years old and has worked quite well. The price is formed by a balance between supply and demand. There are times when the price has been high, as it is now, due to external factors such as the price of fuels and CO2. [At] other times the price has been high because of the droughts we have had. There have also been periods of low prices [due to] oversupply and lower fuel and CO2 prices. In general, there has been a mutually beneficial balance for producers and consumers of electricity. The current and future market will need production with gas combined cycles for many years, as renewable energies are not stable throughout the day and we will have prolonged drought periods. The Spanish market is integrated into the European electricity market, with the same rules. Our electricity generators sell electricity throughout Europe, just as our consumer market agents buy electricity even in Poland. In theory, if the interconnections were infinitely large throughout Europe, we would have a single common price for each hour. An important issue related to the market is stability. Investors flee from regulatory changes and from the uncertainties of the new unknown. Alcoa announced in mid-October the closure of two aluminum production plants in Spain due to the high cost of electricity. Do you think the rise in electricity prices in Europe could cause a worrying slowdown in the economy? Undoubtedly – European companies compete with the rest of the world. A high electricity price – especially [for] electro-intensive companies, means that the products have a higher production cost and cannot be sold in competitive international markets. This is the case [for] Alcoa with the production of aluminium, and therefore [means] the closure of two plants. If the production plants are not profitable, they close and transfer their production to other countries with better conditions. If electricity [stays at] a high price, the deceleration [of production] will be a tangible fact. In addition, the high price of gas also influences this process of closures, as well as the high price of CO2. 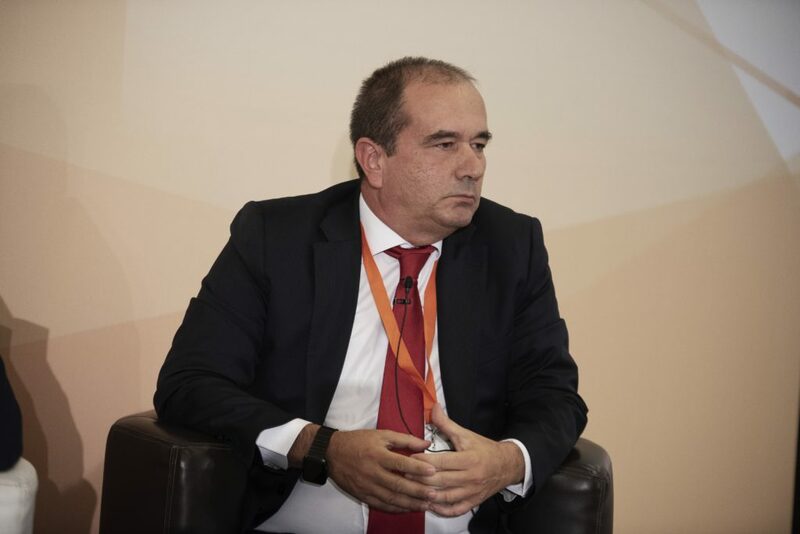 Source: Interview to Antonio Delgado Rigal, CEO of AleaSoft, by Pilar Sánchez Molina from pv magazine; published by pv magazine.